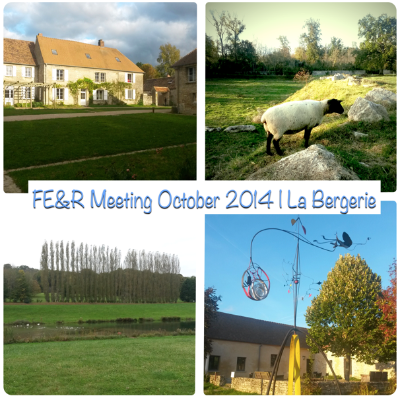 The Forum of Ethics and Responsibilities (FER), held a meeting from 19 to 23 October 2014, in La Bergerie, Domaine de Villarceaux, France. 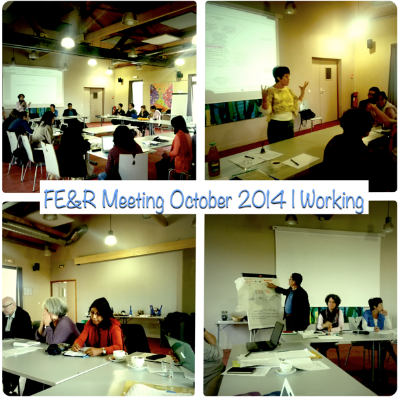 The event gathered more than twenty representatives of the FER with discussions focused on the assessment of the concept of responsibility today in different socio-professional contexts, at the governance level but also on the level of individual awareness. For Pierre Calame, founder member of the FER « (the role of) responsibility is the essential question to ask in order to move forward in our work ». Indeed it is the question asked of academic researchers especially looking at the collective responsibility of their work toward society, a responsibility to work together, with others. Another question asked is what is the place of responsibility in law? The project Taking responsibility seriously 1 looks at responsibility vis-à-vis accountability and particularly at processes that can be made accountable. Also, innovation was discussed in the field of ethical finance. 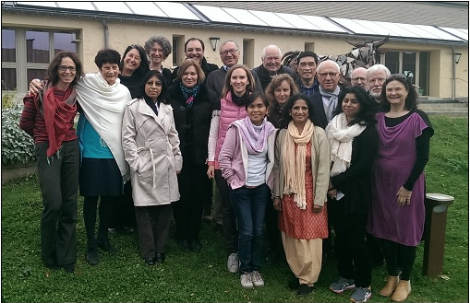 These were there new thematic participants in the group 2that gathered to define together a proposal that would pave the way for a self-governing organization, moving from being a loose network to an organization. The Forum has been working for more than a decade with its partners on building cultures of responsibility on a geo-cultural and socio-professional dynamic as well as on promoting the idea of a Universal Declaration of Human Responsibilities. It will continue to do so in a strengthened way in order to put responsibility at the core of the transition to sustainable societies, with a long term strategy and concrete actions. The idea of responsibility refers to the relationship all human beings have with their social and natural environment, and the way in which they organize society to satisfy the needs of its members and relate to earth’s ecosystems. The imperative to address humanitarian crises (climate change, financial monopolies, violations of human dignity) in combination with the necessity to work with the potential of local/global citizens’ movements, calls for a new social contract that includes custodial responsibilities for nature. ‘Responsibility’ invokes an ‘ability’ to ‘respond’ by assuming tasks and accounting for one’s actions. But as the individual is not always perfect in observing norms of behaviour, so the idea of responsibility also provides the building blocks for the legal system: Who is responsible for what and for whom? Who is accountable for what and to whom? Who decides on the gravity of any harm done? Globalized interdependence and the shift in humanity’s impact on the biosphere has radically changed the nature of responsibility and there are a number of obstacles to the necessary adaptations to this new situation. The FER intends to address these obstacles. Stay connected through our [website->www.ethica-respons.net/home], [Facebook page->www.facebook.com/EthicaRespons] and [Twitter account ->twitter.com/ethicarespons] for updates and latest developments for our new organizational structure.